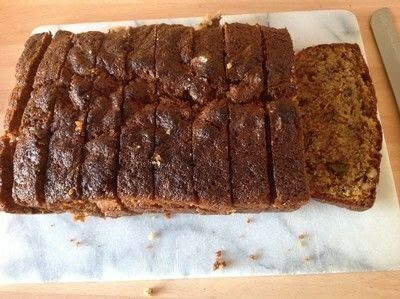 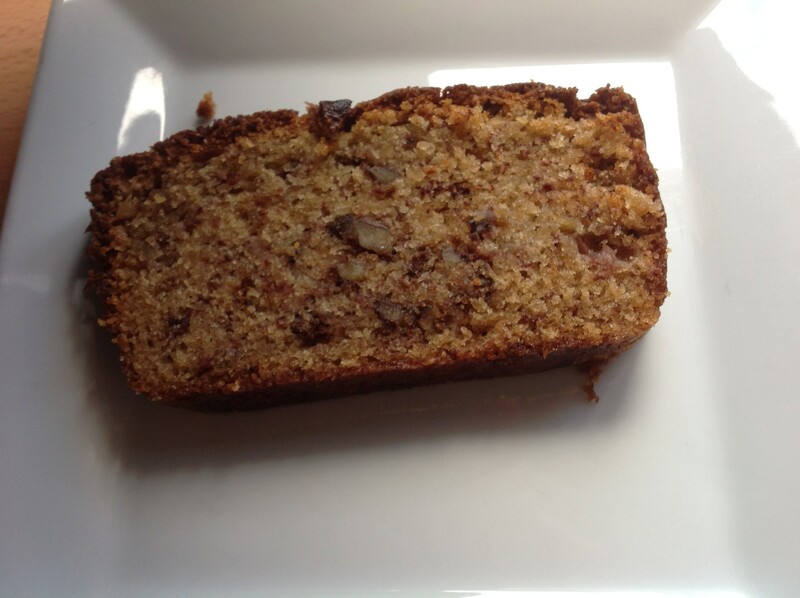 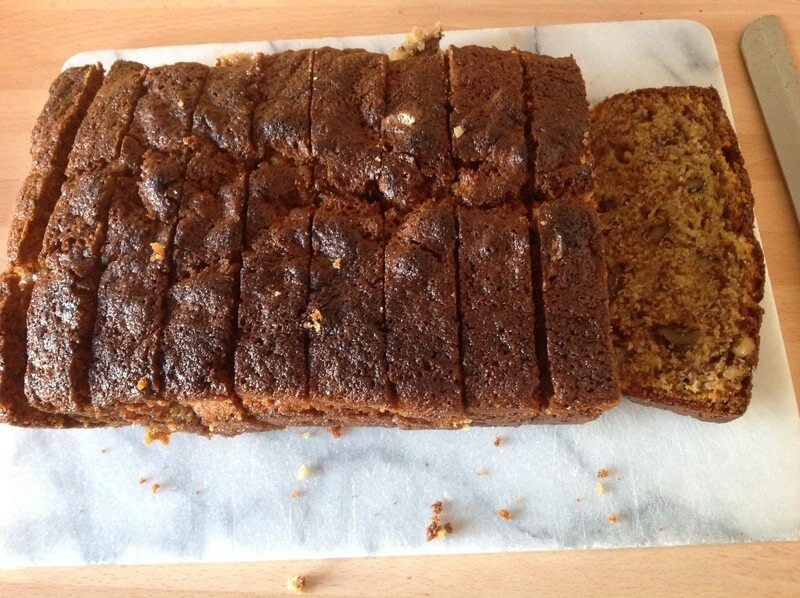 Super moist & tasty banana bread. 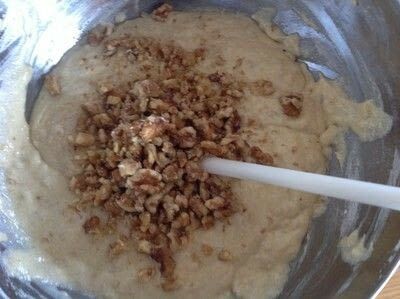 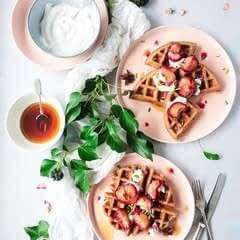 You can leave the walnuts out but it tastes better with them in. 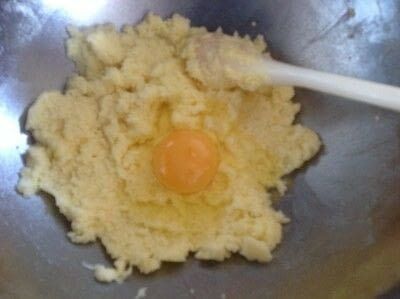 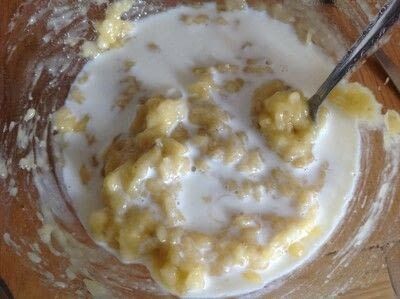 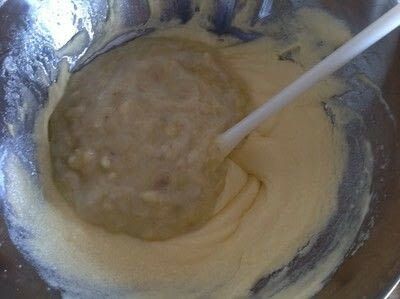 Mix the milk & mashed banana together. 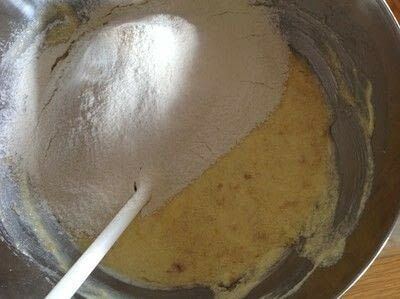 Add flour, bicarbonate of soda & baking powder. Bake for 1 1/2 hours. 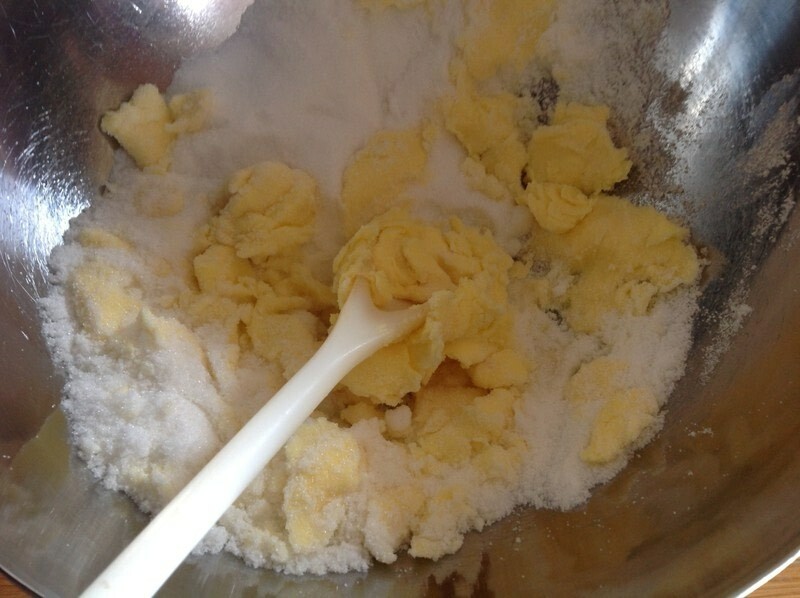 Until cooked through. 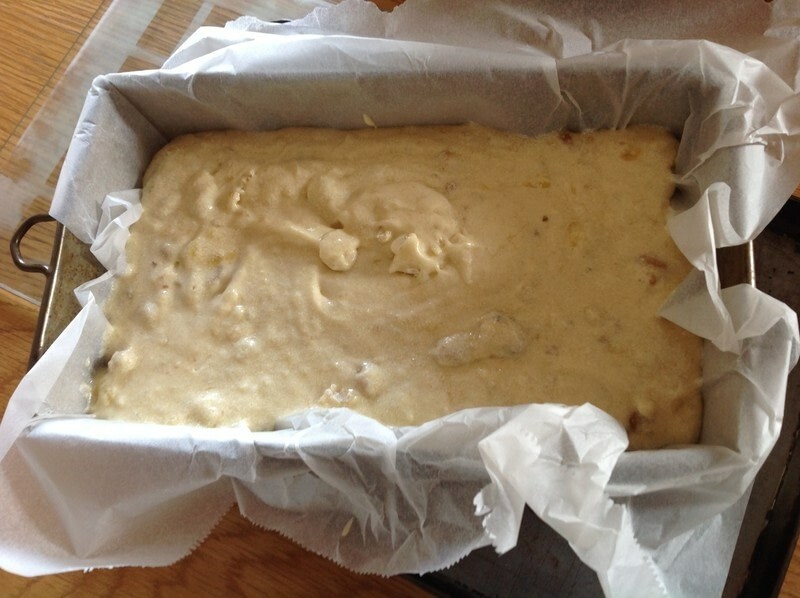 Remove from the oven & cool completely.